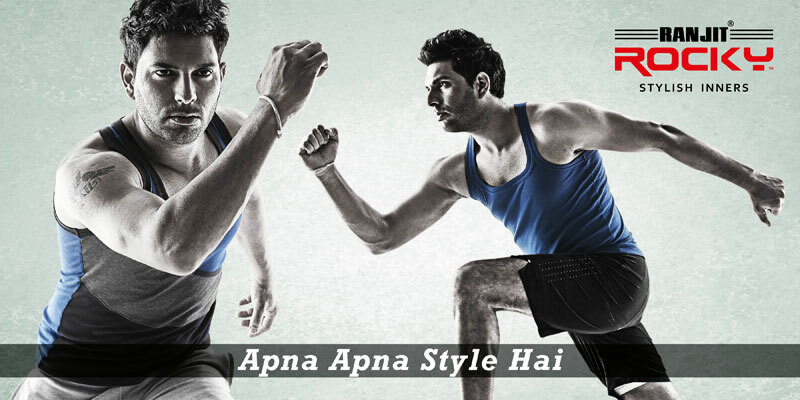 identify and build on a brand discriminator – style. 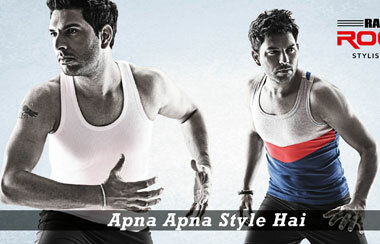 it takes a vest to make a man out of salman and khan out of shahrukh. 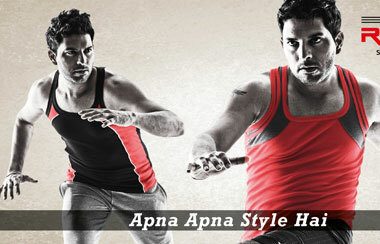 men’s vest is the biggest blockbuster category that employs all the top stars of bollywood. the media spends are huge, the brands big and strong. low and mid price segments dominate where product is commodity and differentiation happens through marketing aggression. 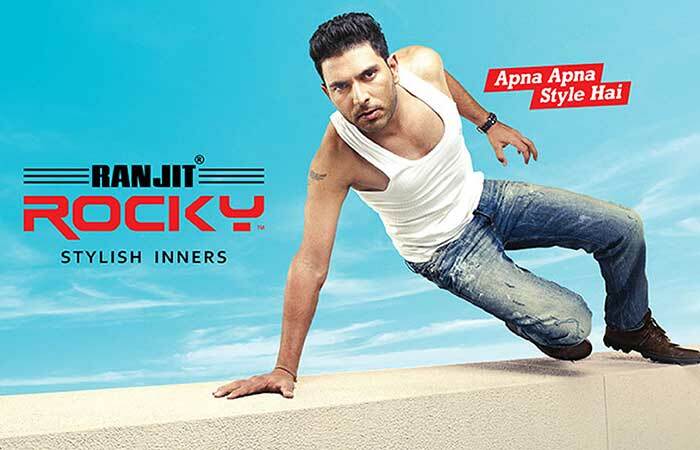 japan international is a leading player in innerwear category in the state of gujarat, known for and known by its brand ranjit. however they had missed the action at national level entirely. 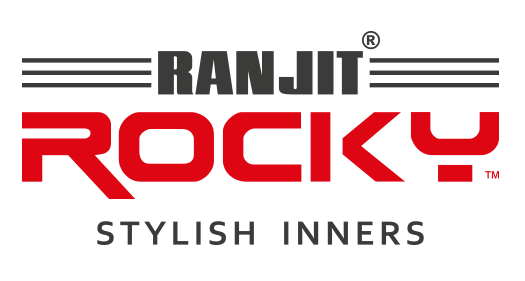 with the new ranjit rocky range the company wished to expand their horizons. 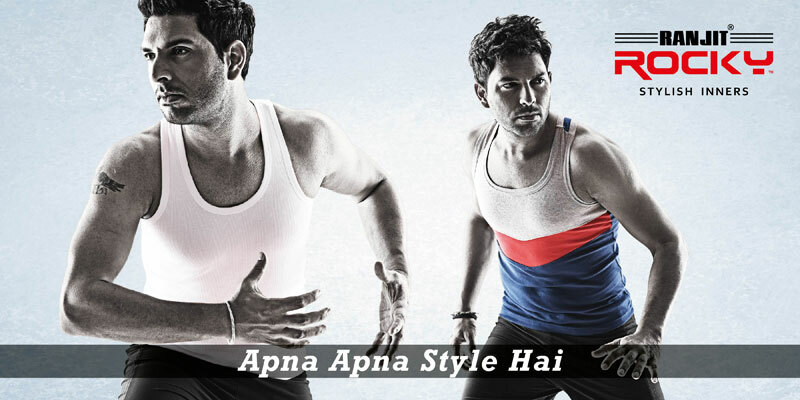 which meant the brand carried an additional onus of creating channel pull and distribution network for the company. 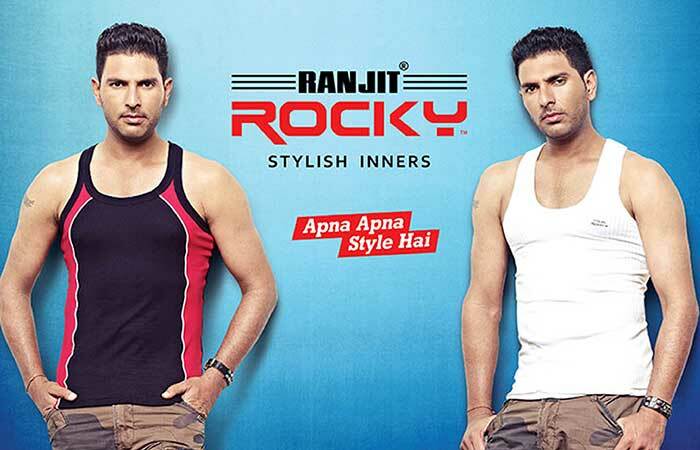 the marketing team at ranjit rocky decided to sail against the tide of bollywood stars. 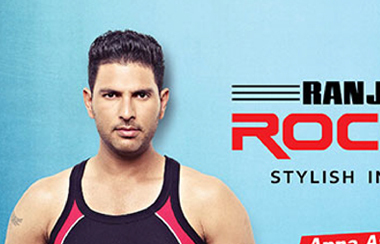 they chose yuvraj singh to endorse the brand. this got traction all across including south where bollywood tends to lose its appeal. fit and comfort are the universal platforms for brands in this segment. cutthecrap created a new springboard for rocky – style. 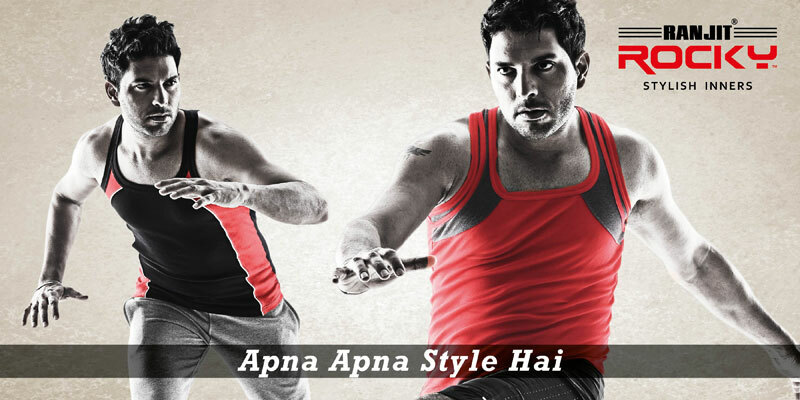 style as in style. 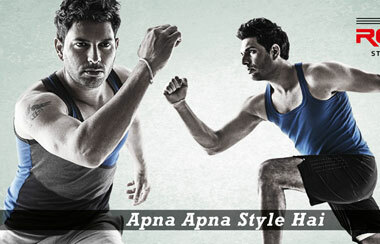 and style as in your way of doing things. 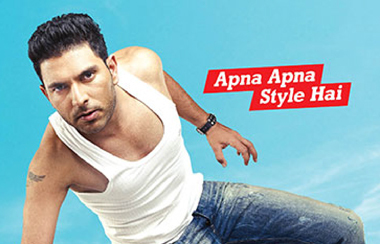 apna apna style hai. 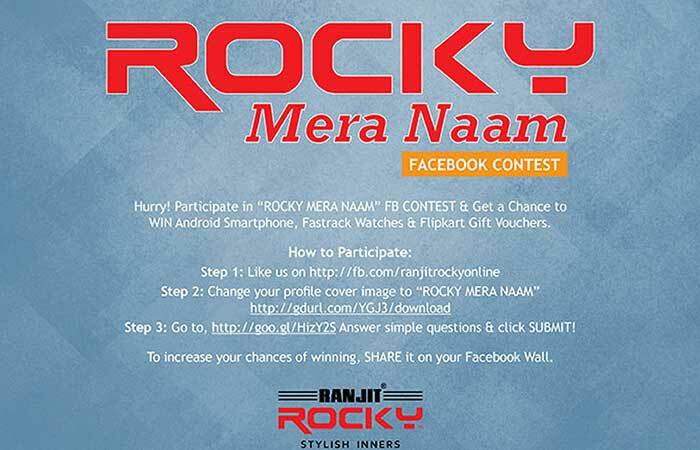 ranjit rocky turned out to be a hit from the word go. sales rode on distribution rode on sales. from up north in punjab to down south in tamil nadu. in the first 2 months of the campaign over 75 new distributors were added across india and the number of retail sales points of the company increased by over 50% due to consumer demand for the product. 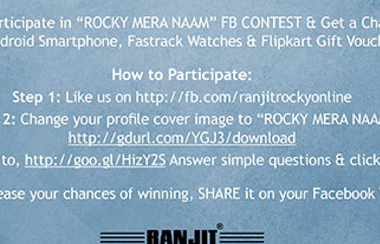 not just ranjit rocky but other company sub brands too saw increase in sale due to the campaign. we are thankful to everyone in the family of bhagchandanis. 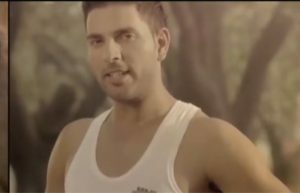 a special thanks to aditya bhagchandani for playing a leading role and his creative judgment.